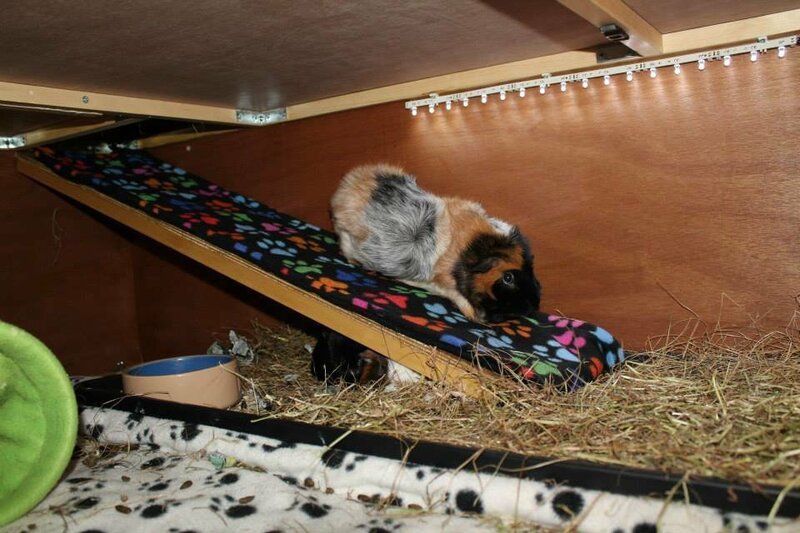 PLEASE NOTE: ONLY SUITABLE FOR HUTCHES WHERE THE RAMP CARPET FITTINGS CAN BE SCREWED INTO THE WOOD, OR FOR C&C CAGES, WHERE THE RAMP CARPET IS CLIPPED TO THE TOP FLOOR. NOT SUITABLE FOR CAGES WHERE THE TOP FLOOR IS PLASTIC AS THERE IS NOTHING TO ATTACH THE RAMP CARPET TO. PLEASE MAKE SURE THAT YOU MEASURE YOU RAMP ACCURATELY BEFORE ORDERING. ALL RAMP CARPETS CUSTOM MADE AND MADE TO THE SIZE YOU REQUEST. THEY CANNOT BE RETURNED IF I HAVE BEEN GIVEN THE WRONG MEASUREMENTS. In order to keep your washing machine free from hay and hair, and to prevent it from clogging up, I also recommend using a Petwear Washbag which are available in the Snoozie's Cozie shop.